I work from the photo that you provide, please make sure they’re in focus, have good lighting and reveal your pet’s true personality! Your painting will only be as good as the photo that you send me, so please make it really great! 1. 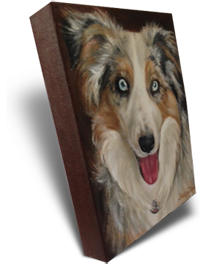 Go to the “Order your painting” page and select your size in either rectangle or square. Click “Add to cart” and send payment. ***If you have a certain deadline in mind, please email me first to check my availability. 2. 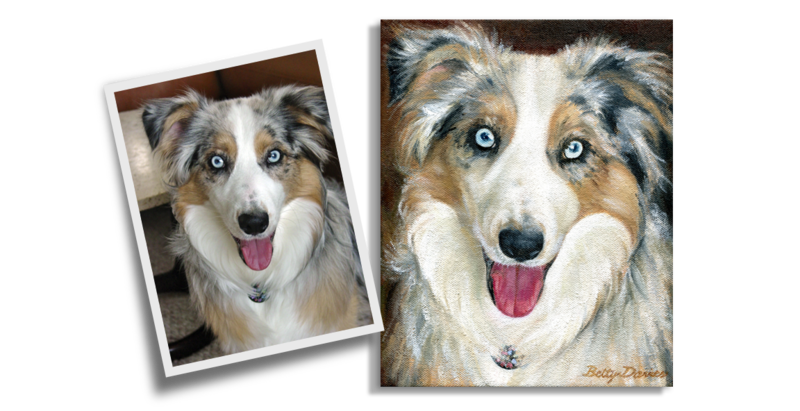 Take a high resolution photo of your pet. Go to the “Image Upload” page and send me your photo. I will contact you to confirm details. 3. 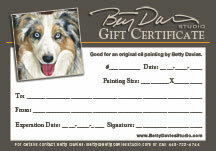 Then I paint your pet, notify you when it’s ready and ship the painting out to you. Easy peasy! • Shoot them at their eye level, so either get down or put them up to make this happen. • Try taking them outdoors on a bright overcast day. This way you’ll eliminate harsh shadows and bad lighting. Remember to always have the sun to your back. • Get your pet comfortable by having someone hold a treat/toy to direct your pet’s attention. • Shoot on high resolution to get the sharpest result. • Fill the frame with your pet’s face. Close ups are great for detail. Don’t worry about what is in the background, the pet’s face should be your only concern. What is a Gallery Wrapped Canvas? The paintings are done in oils on an archival stretched canvas, 1.5″ deep that is gallery wrapped, which means no framing is necessary (I paint the sides). Each painting takes a minimum of three weeks to complete. Time frames can vary depending on each painting and scheduling.